Lekan Shonde's Wife "Died Of Brain Injuries"
A banker, Ronke Shonde, allegedly beaten to death by her husband, Lekan, three years ago, died of severe brain injuries, a pathologist, Dr. S.S. Soyele, said yesterday. 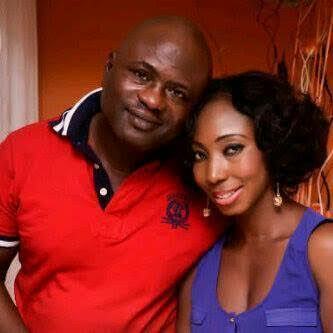 Dr. Soyele, from the Lagos State University Teaching Hospital (LASUTH), Ikeja, conducted an autopsy on the late Mrs Shonde. “The deceased died of respiratory failure, caused by cerebral edema (swollen brain), caused by a blunt force trauma to the brain,” he said. The pathologist was testifying at the trial of Lekan Shonde for the death of his wife at their Egbeda, Lagos home in 2016. Led in evidence by the prosecutor, Mr. Y. G. Oshoala, Soyele said it was unlikely that the deceased inflicted the injuries on herself because of the multiplicity of the injuries. “A bruise was found on her left jaw. During autopsy, it was discovered that the deceased had black eyes (pupils) a telltale sign of brain injury. “We opened up the body and brought out the organs. We also opened the skull to bring out the brain. Blood collection was discovered in the skull, just beneath the skin. “The deceased’s uterus was also brought out and there was no sign of conception. We took samples from the brain in order to determine the cause of the death, which primarily was respiratory failure caused by trauma to the brain,” he said. The pathologist, who said he and his team had conducted over 1,000 autopsies, stated that the late Mrs Shonde’s autopsy showed that she suffered injuries to her brain in the past. Justice Oyefeso adjourned the case till October 24.